Selling popcorn helps you raise money. 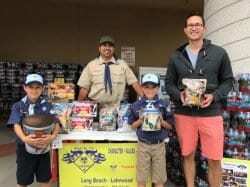 Scouts learn to earn money for activities, camp-outs, equipment, and more. This is the best way to sell to your friends and family who live out of town. 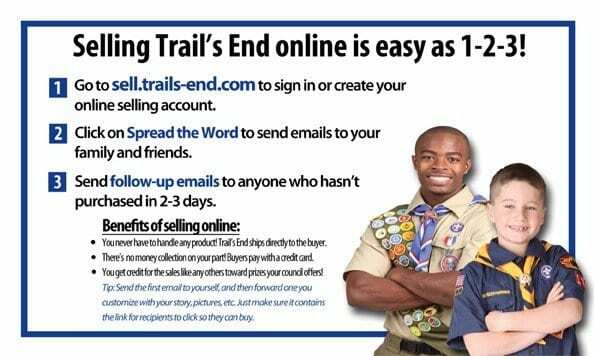 You can send emails to your customers asking them to purchase Trail’s End popcorn online. Friends and family can order year-round! Your den, pack or troop gets permission to sell in front of a retail store or in the local mall. You set up a display with products for people to purchase as they walk by. The most traditional way to sell popcorn; going door-to-door with the take order form, which you receive from your leader or council. You carry Trail’s End popcorn with you to show to your customers as you visit them. The customer is able to select the products he or she wishes to buy from your product selection. This is for savvy Scouts! Selling to businesses is a great market to have big sells. 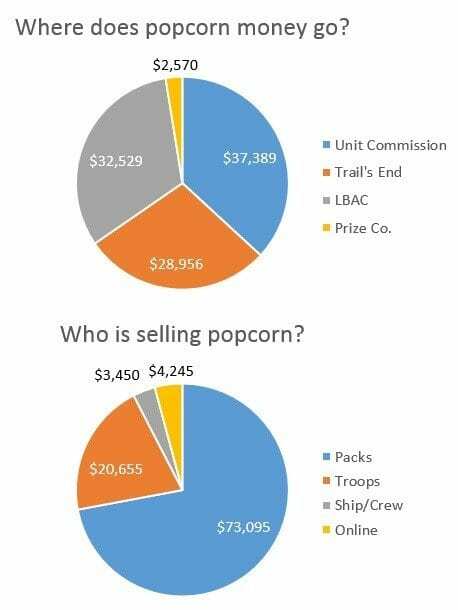 Whether the owner buys popcorn as gifts for their employees, or they allow the popcorn to be sold at the lobby or break room.